It will take you ~8 min to read this article. Creating a site where you can see a library in action (the way it works) is really simple if you know basic Ruby on Rails. To find out how, follow my steps. In the file pages/index, I will add two links that will lead to two examples of the panorama. Now, we need to include libraries and create those examples. The first example is a simple, but effective, a library called Panorama Viewer by Pete R.
Now, the only thing we need is the panorama image. If you don’t have a panorama image to use at the moment, feel free to download mine just for this purpose. Next few steps should be repeated for each example. Add the image to demorama project and copy it in the app/assets/images folder. We should not forget to define routes, so we can actually reach the first.html.erb. Now, let’s take a look at a more advanced library. This example simulates the person who sits in a gigantic ball and observes the panorama while 360° panorama is projecting on the surface of the ball. 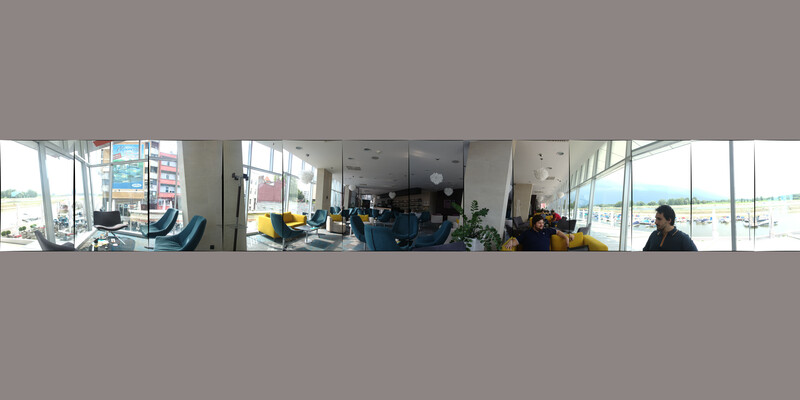 So again you could use the photo I have used (https://gitlab.com/kvesic.mislav/demorama/raw/master/app/assets/images/hotel_os.jpg), that’s not stretched correctly, or just find another equirectangular photo on Flicker. Then, add it to the app/assets/images folder. Now you should open your second.html.erb file with your text editor and add some code to run the example. I took the basic code from that example and edited only the image location part in the initialization function. Here you can see the part that I have changed. You can download The whole content of the second.html.erb from my GitHub project (look at the end of the project) or find it in three.js examples. Now, if we run the rails server and navigate to the second example (second.html.erb) we will see a nice panorama view provided by three.js: https://desolate-mountain-74634.herokuapp.com/second.